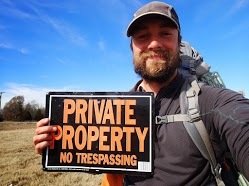 Starting in September of 2012, Ken Ilgunas spent 5 months walking 1,700 miles from Hardisty, Alberta Canada to Port Arthur, Texas – the proposed route of the Keystone XL Pipeline. He thought he might be the last person to see and document the area before it is developed. While hiking he experienced the simple joys of camping, interactions with strangers, run-ins with law enforcement, violent dogs, and the sweet anticipation of not knowing what lies behind the next bend in the road. You can learn more about his adventure at kenilgunas.com. Ken Ilgunas, welcome to The Pursuit Zone.